Dr, Suess the man that brought us "The Cat In The Hat", "The Lorax" and "Green Eggs and Ham", was once quoted as saying "We are all a little weird and life's a little weird, and when we find someone whose weirdness is compatible with ours, we join up with them and fall in mutual weirdness and call it love.” Well it seems this may well have been the case when Italians Andrea Demurtas (bass/vocals), Mirko Deiana (guitar) and Daniele Moi (drums) came together to form Desert Hype, however that love was not so much for each other but for a mutual love of making off the wall grooves of a weird and quirky nature such as can be found on their debut album "Samufire"(Blacktooth Music). 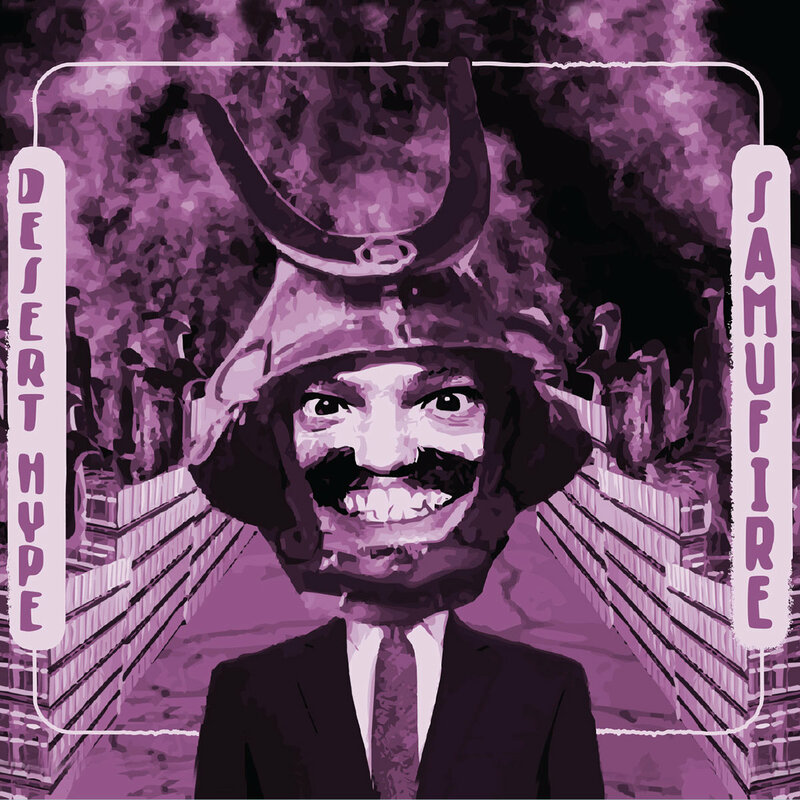 There is no point in talking conventional regarding Desert Hype's approach to their art, pressing play on "Samufire" is like opening a portal into a world where everything is a little left of where it should be, a place where all rhythms are jerky and disjointed and everyone sings and talks in twitchy, spasmodic meters. 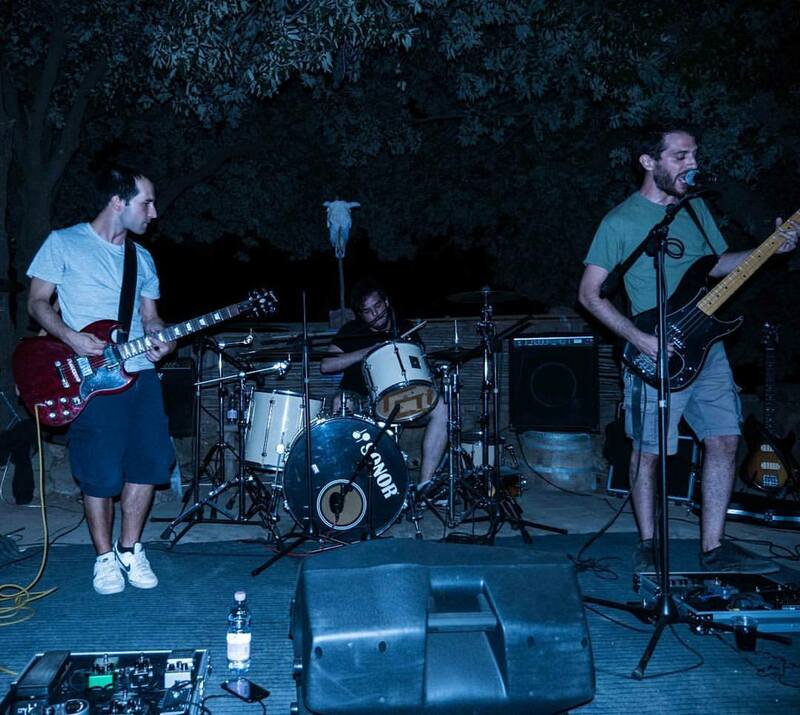 It is this slightly wrong, slightly angular, but at the same time oh so right, approach that makes "Samufire" such an interesting, and for that matter exhilarating, listen, you just do not know what to expect from one minute to the next, every song from opener "Nightwalker" through to closer "Daycrawler" packed with unexpected twists and turns that have you checking the albums track listing to see if you are actually listening to the same song you thought you'd pushed play on. 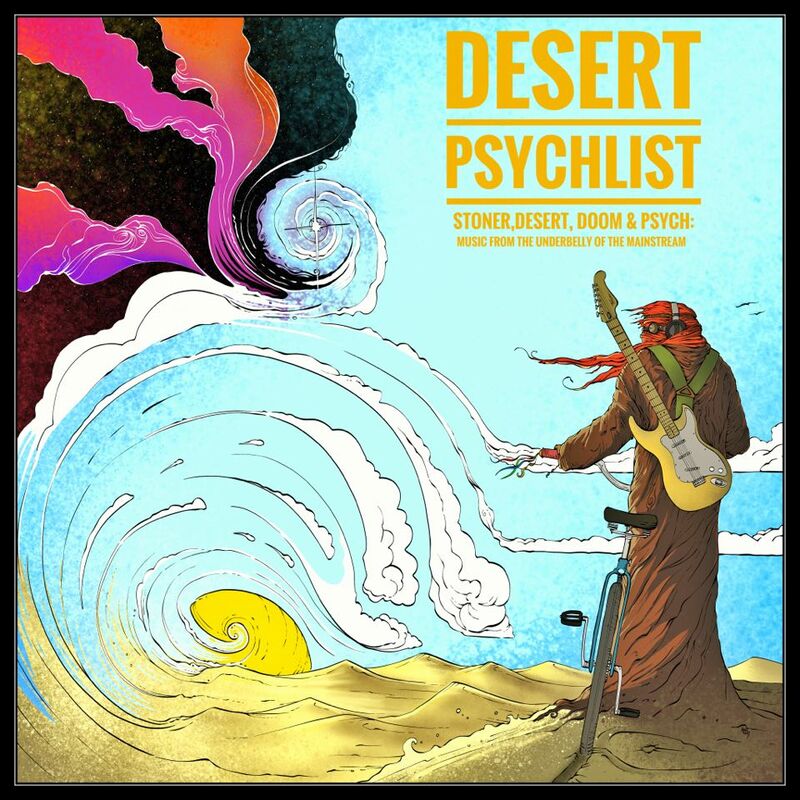 Desert Psychlist supposes if we were forced to compare Desert Hype's sound with that of another similar sounding band then it would have to be USA's Queens of the Stone Age but even Josh Homme would struggle to out-quirk these guys. 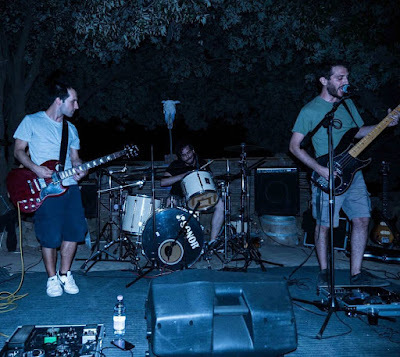 Italy, much like its European cousin Norway, is fast building a reputation for producing bands that do not quite conform to the norm but the levels of joyous, quirky weirdness Desert Hype lay before the altar with "Samufire" are off the scale even by Italian standards.